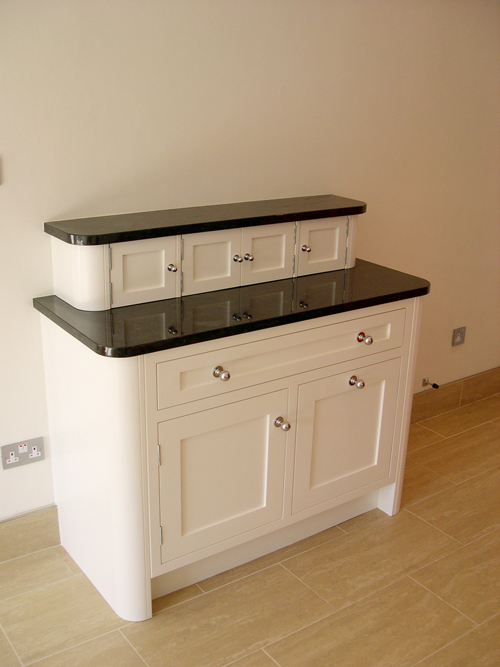 This is a small piece designed to fit into a kitchen already fitted by another company. 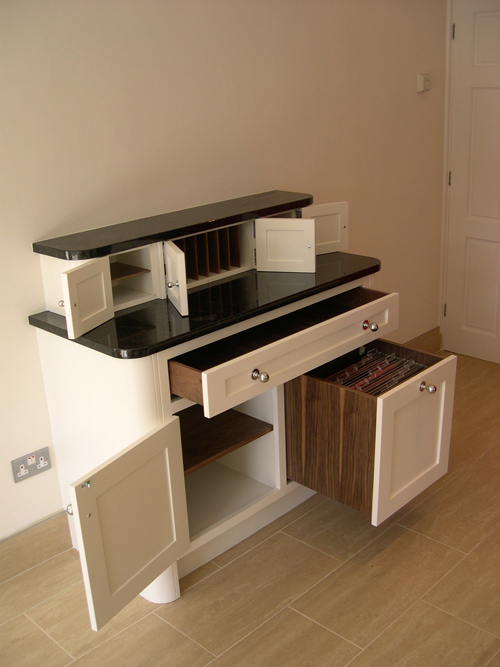 A bespoke cabinet that works as a bureau and subtly integrates into an existing kitchen. Pigeon holes, a dove tailed junk drawer and a filing cabinet in walnut. 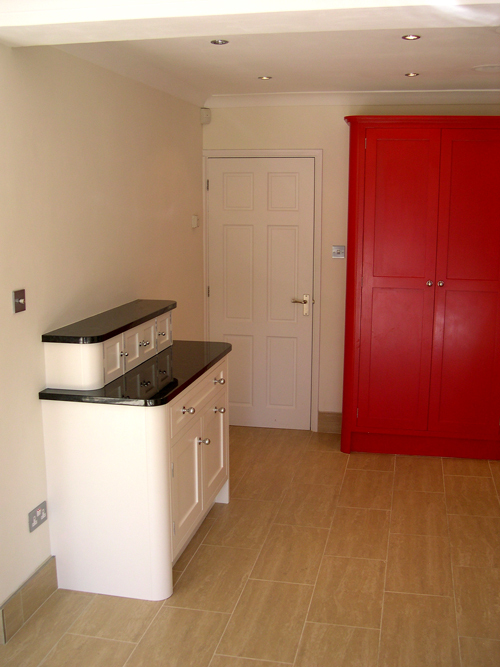 Scribed to the wall and hand painted in situ.